On To The Next Paige: Holiday Gift Guide For Her Under $25!!! 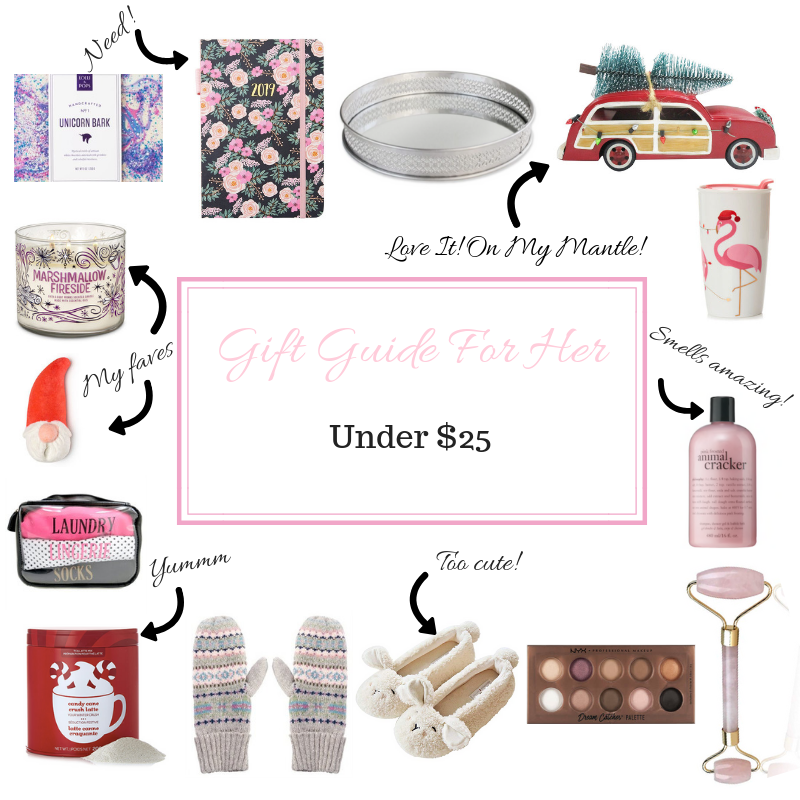 Holiday Gift Guide For Her Under $25!!! Hello my friends!!! I hope that you are all as excited for Christmas as I am! Our tree is decorated, our house is lit with lights and I finally have my shopping started... but I still have lots more to do! Here's a great Holiday Gift Guide For Her and everything is under $25!!! Lots of these items are things that I already personally own or things that I would love and are on my wish list. I hope this helps you with your shopping and takes a bit of stress off your shoulders. Go sit down and enjoy a cup of hot cocoa! If you have any wonderful gift ideas or request for a gift guide, please comment below :)!